The peaches I have been finding at the farmers markets this season, from local orchards and growers, have been tip-top. But if you have not been able to get to a market in time to select some local peaches, the sort of famous Nashville Peach Truck will return tomorrow, Saturday, July 23 at two suburban locations. As reported in Insider Louisville , this is the third year for the “trendy” Peach Truck, which hauls around loads of Georgia peaches hither and yon to visit Louisville. The truck’s website lists peachy visits as far east as Pennsylvania and as far north as Sandusky, Ohio. 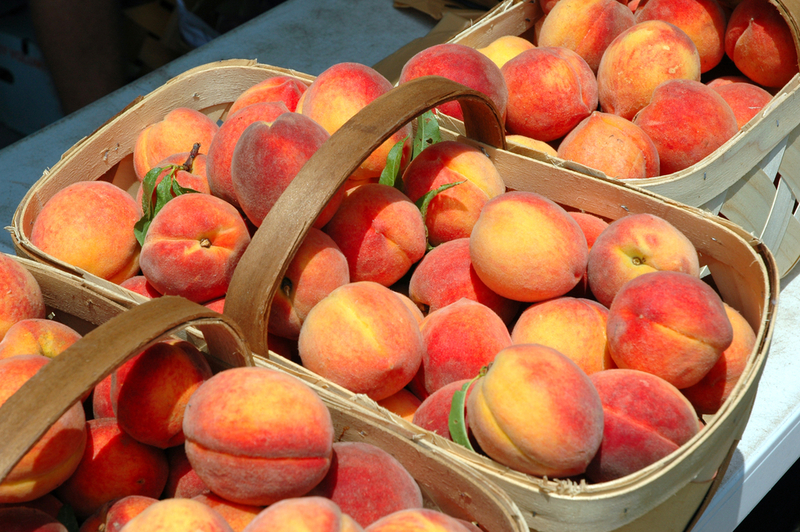 But tomorrow, the truck will be offering its peaches for sale at Brownsboro Hardware, 9521 US-42 in Prospect from 8-10 a.m., at Brownsboro Hardware, 4858 Brownsboro Rd. from 11 a.m.-1 p.m. and at Wallitch Garden Center, 2608 Hikes Ln. from 2-3:30 p.m. According the the Nashville Peach Truck web site, their prices are $8 for a 3-pound bag for or $39 for a 25-pound half-bushel box. The web site prefers payment with credit card, to avoid the drivers carrying too much cash. The peaches are from Pearson Farm in Ft. Valley, Georgia, which grows 40 or so varieties of peaches, from early clings to late summer free-stones, both yellow fleshed and white. The peaches, the web site maintains, are minimally treated, which means that spraying is done as absolutely necessary. The peaches are non-GMO, for those who insist on knowing that. The truck was here once already, the first week of July, and will return next Saturday, July 30, at the Prospect Brownsboro Hardware at 9-11a.m. and from noon-2 p.m. at the Brownsboro Road location of the Hardware store.